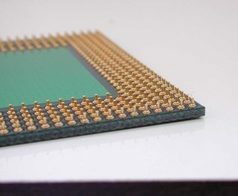 Lead pins can be fixed on a product without soldering. There is no concern for outgassing because there has been no soldering. Pin interval can be decreased to as little as 1 mm pitch. Pin length can be freely determined. Pin pulling out strength is 1 kg or more. 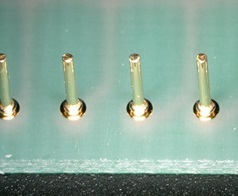 Various metals can be used as pin material.